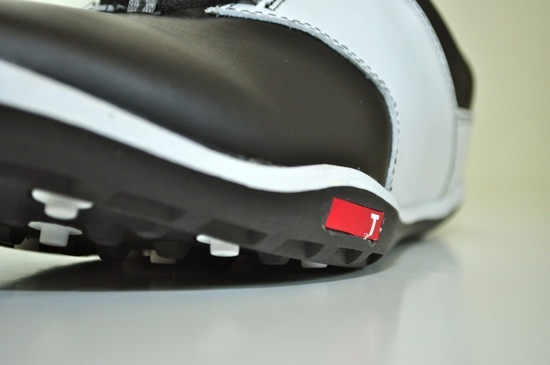 I’ve really enjoyed hearing Ben’s ongoing reactions of playing with TRUE golf shoes over the past year. As he’s described them – each pair being a little different from the others – I’ve become more and more intrigued. 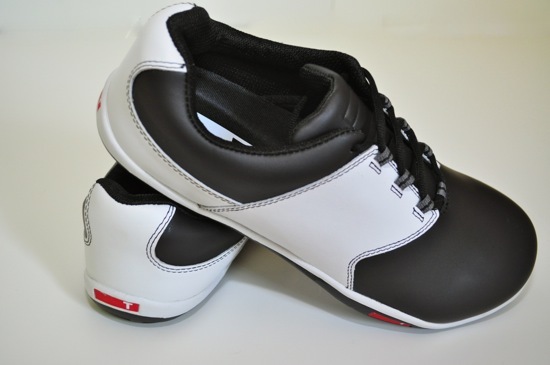 So, with the release of the new TRUE Tour’s for 2012, I was able to convince him to let me give the next review a try. I can now tell you first-hand – the results matched the anticipation and excitement. These shoes are fantastic. 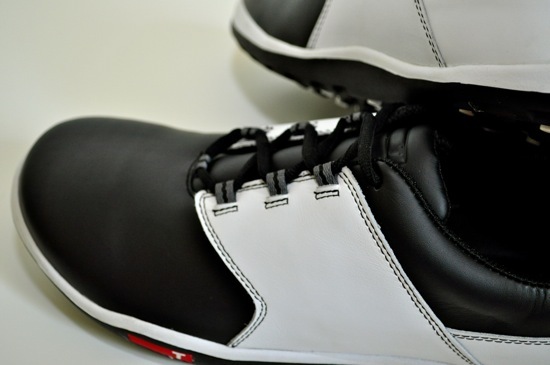 As a golfer since the age of 10, I’ve worn a number of different shoes and styles. I’ve even tried on a few pair of the updated “street style” shoes that have become popular in the past few years. 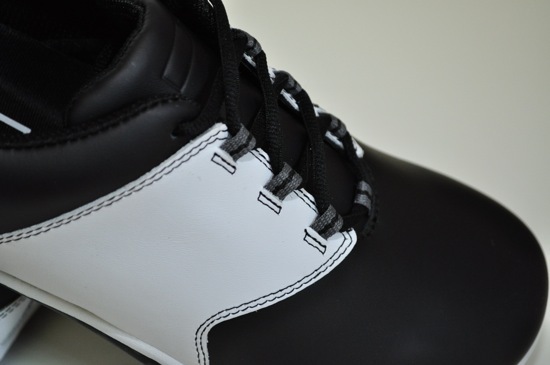 But after trying on the new TRUE Tour’s and playing a number of rounds, I can tell you that I’ve never worn a pair of golf shoes anything like these. I’ve now logged about five rounds with the shoes – through various wet and dry conditions – and have had consistent results. I’ll start off with what comes to mind first as I think about the shoes. The feeling I get walking around the course is that I really am barefoot. I know the company markets this heavily – but I can tell you it’s 100% accurate. 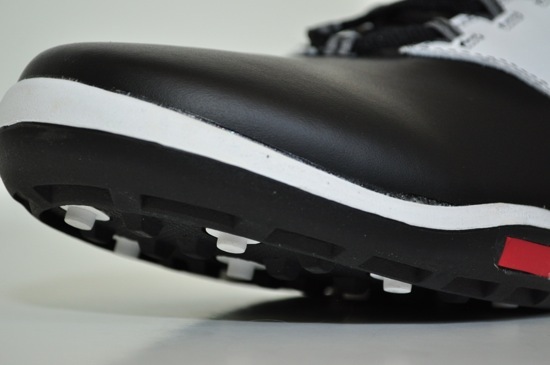 The rubber sole of the shoe, while strong, feels very thin – putting your feet closer to the ground. 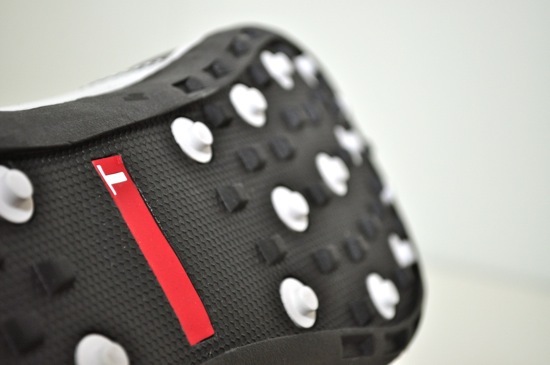 A nice complement to the feel is the cushioned insert. 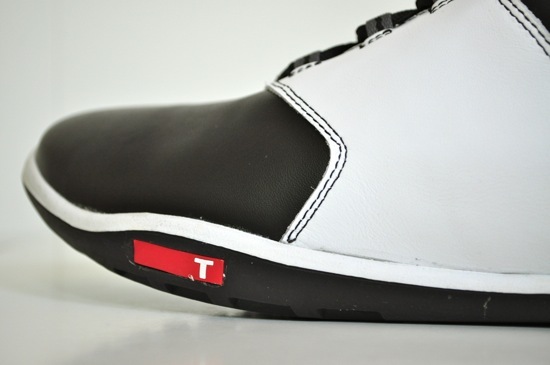 TRUE’s site talks about how they have designed their shoes from the ground up – “starting with the human foot, not a dress shoe.” That’s evident as soon as you unpack the shoes from the box. There is no elevated heel on the shoe itself – as the heel and toe of your foot are the same distance off the ground (something TRUE calls “zero drop”). To me, this is the #1 reason for feeling like I’m walking barefoot on the course. A close second in the reasons for feeling like I’m walking barefoot is the wide toe box. I’m a huge fan of flip-flops – I wear them at some point almost every day. One thing I’ve always noticed walking around in a good pair of flip-flops is the way the toes rise up every time you take a step – as your feet and toes are free to move around when unrestricted. 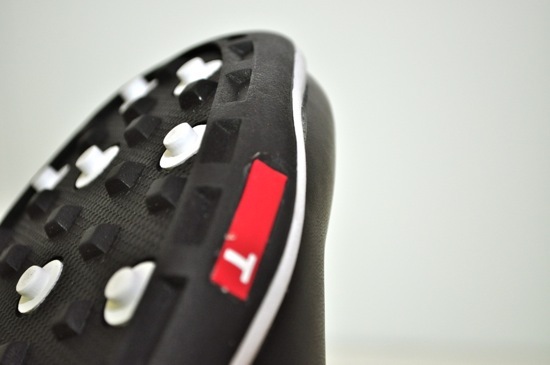 The wide toe box of the TRUE Tour’s allows for that same comfortable range of motion while still having your foot inside the protection of a shoe on the course. I found this to be completely new – and totally refreshing. You know that feeling you get when you take off a pair of dress shoes and crack your toes? 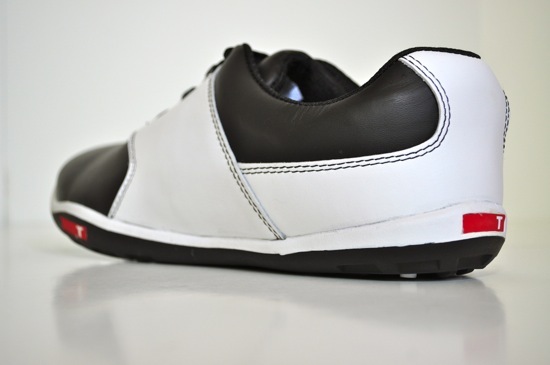 Ahhhh… Well, you can do it on the course with your shoes still on. Simple pleasures, right? When I follow through, I tend to roll out on the side of my left foot. 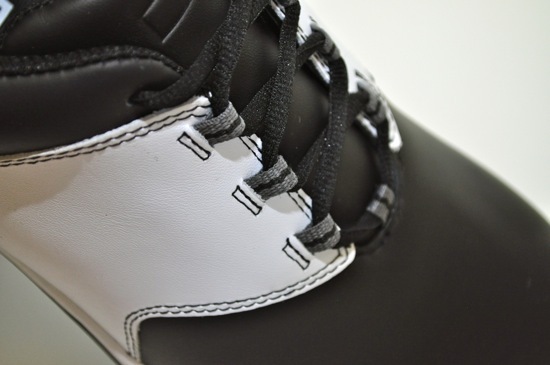 Depending on the shoe, this wasn’t always a natural motion – and sometimes caused balance problems through the end of the swing. With TRUE’s shoe construction, this is not only not an issue – it’s almost like they’ve been created with this motion in mind. 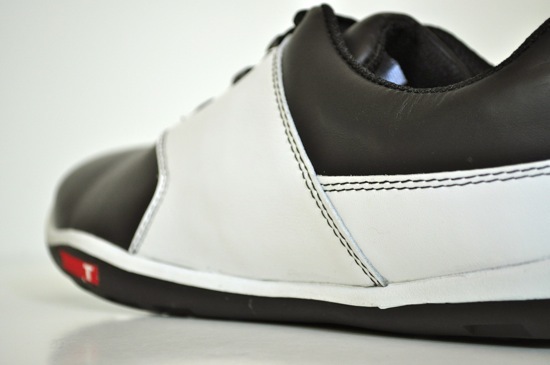 The ultra-thin sole of the shoes makes the motion feel smooth, easy and natural. I’ve now played rounds in completely dry and hot conditions, in the rain, and teeing off in the morning dew in the first group of the day. 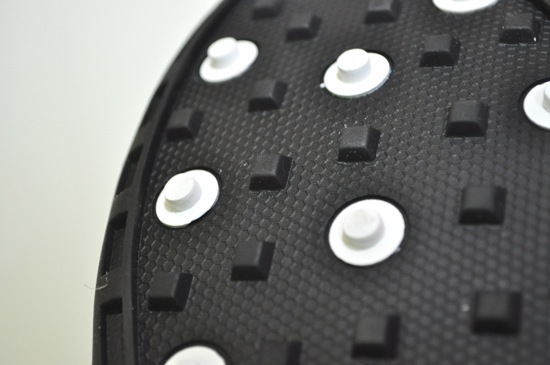 This provided a thorough test of the bar and knob sole combination that provides the shoe’s traction – in lieu of more traditional “soft spikes.” I noticed no difference or negative impacts of common footwear-related mishaps through the swing. 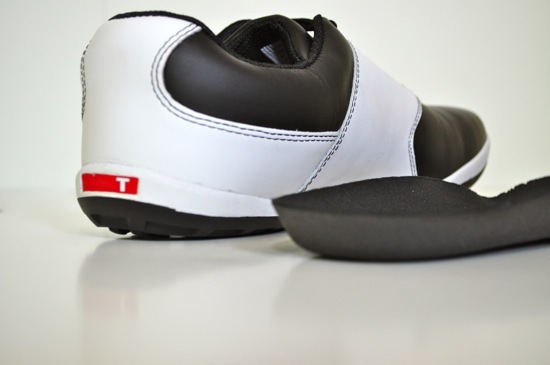 With the increased range of motion in my toes – enabled by the wide toe box – it has actually forced me to stay on balance better through my swing. 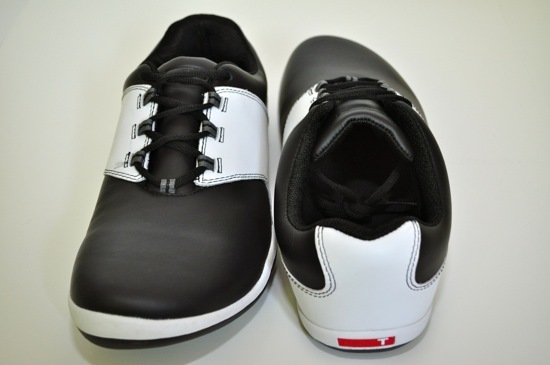 I’ve hit a few errant shots where I’ve ended up with too much weight on my back foot – and the material on the top of the shoe pinched down on the top of my toes as my foot extended back. Quick reminder – stay on balance! On the green, that barefoot feeling and solid, stable base created by the uniform sole just feels right. It’s intangible and hard to put completely into words – but you know that feeling you get when you’re standing over a 15-20 footer and you just know it’s going in? Well, putting is so mental – and I love the connected-to-the-ground feel I get in the TRUE’s on the green. Try a pair, it’s different – and trust me, you’ll feel it. 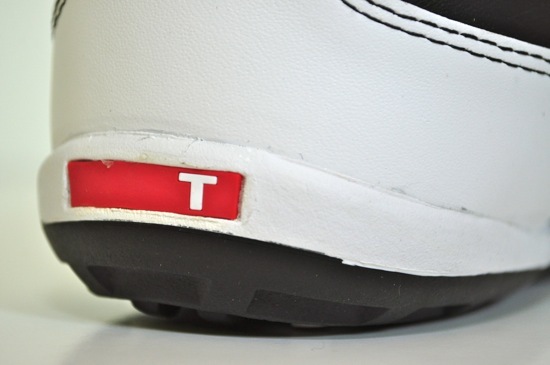 I’ll close by saying that I couldn’t be happier than when playing in a pair of TRUE’s. I walk about 90% of the time, and nine holes is typically what my schedule allows. For a number of reasons – not the least of which is comfort – the TRUE’s have become my go-to shoes. With the unique style – and superior comfort – I really believe it’s only a matter of time before I see more of them in play. You have another new fan, TRUE – great work!! If you’d like to see more pictures of the 2012 TRUE Tours that were reviewed, you can check see the full resolution photos in the True Tour Facebook Album.